Asus has bounced back after being dormant for some time at the CES 2014. It has launched an innovative range one of which is the Asus PadFone Mini. The Asus PadFone Mini comes as a smartphone and docks into a tablet just like the original Asus PadFone. It comes with the Zen UI, Android 4.3 and an 8-megapixel camera. 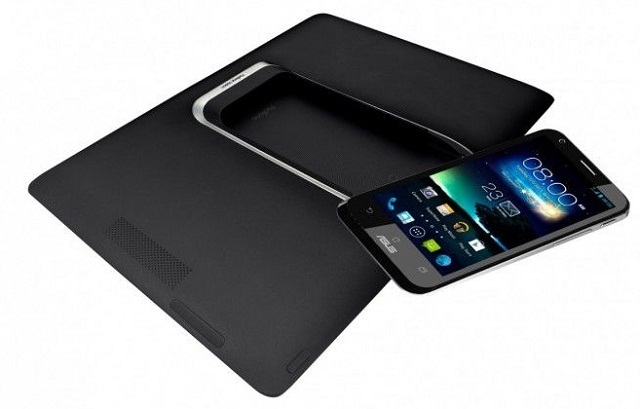 The Asus PadFone is a package of a 4-inch phone and a 7-inch tab that it can be docked into. It has certain features that stand out amongst the immense line-up of smartphones its competing against. The Asus PadFone Mini comes in with a new design – something similar to the ZenFone series unveiled yesterday. It comes designed in ergonomic plastic and boasts of a range of colors – black, white, yellow, red and blue. The display is a little modest at 400 x 800p for the smartphone screen and 1280 x 800p for the tablet. It is set to come with Android 4.3 out-of-the-box, although Asus promises an Android 4.4 update. Under the hood, it boasts of a 1.6 GHz dual-core Intel Atom Z2560 processor, 1 GB of RAM and 8 GB internal storage. Apart from that it boasts of an 8-megapixel cam, but lacks a flash even though it comes with a Sony BSI sensor. The Asus PadFone Mini comes priced at $249 and should hit the shelves soon. 1 GB of RAM; 8 GB internal storage.